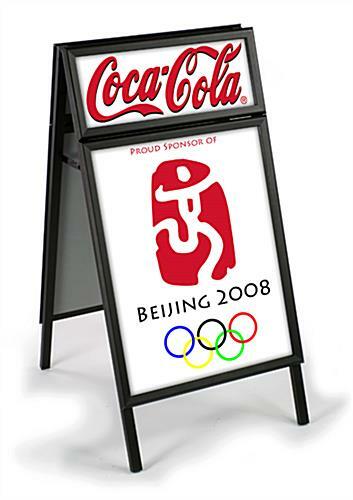 This folding sign frame with header is double-sided so many people can view that sidewalk display and its graphics. 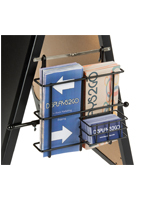 The portable sandwich board uses a fold up design to stay compact for easy carrying and storage. 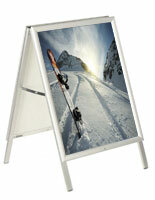 The sign frame with aluminum construction is durable, but also lightweight and weather-resistant. 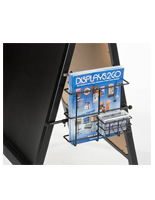 The sidewalk display is a great way to promote services or specials at your business. The frame uses a snap open/closed design that helps to make changing graphics easier. 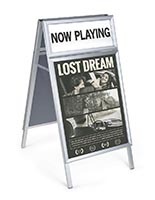 Clear lenses are included in the sandwich boards to keep designs safe from damage and make them easier to see. Please Note: Product is not intended for use in harsh weather, including high winds, rainstorms, extreme heat or snow storms. 18.0" x 31.0" x 45.0"